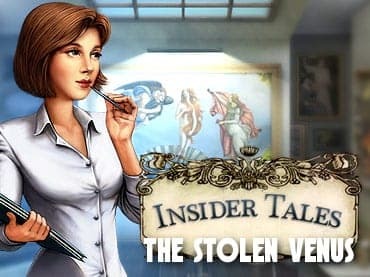 Biggest art robbery in decades is at the heart of Insider Tales: The Stolen Venus, the exciting hidden objects game. Recover the priceless painting by Botticelli by solving challenging puzzles. The engaging storyline will have you travel to multiple locations in stunning Italy. Several mini-games in addition to the hidden object challenges. Beautiful hand-drawn graphics in every scene. Solve the puzzles and find the Birth of Venue before to robbers get away. - Stunning scenes of Italy. If you have questions about Insider Tales: The Stolen Venus game, please contact us using this form.